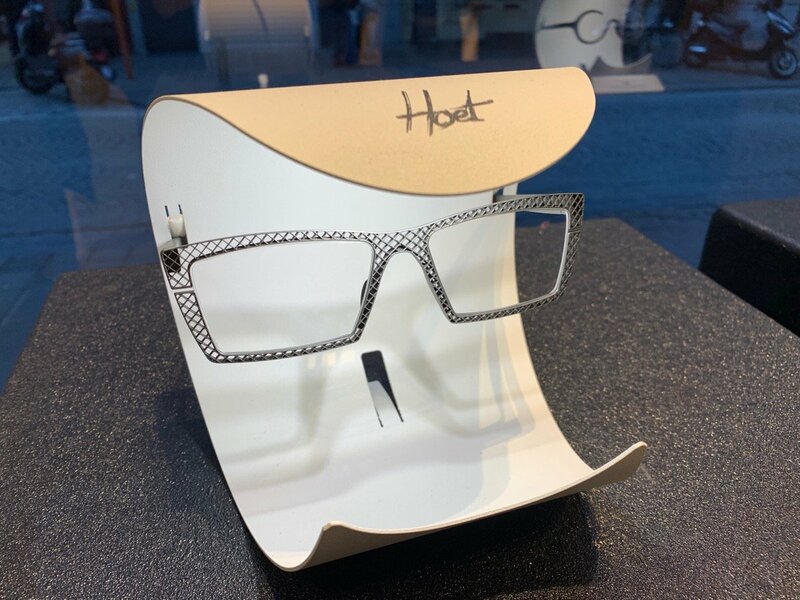 Bruges-based Hoet Studio can be considered one of the first pioneers in seriously introducing 3D printing for eyewear frames production. 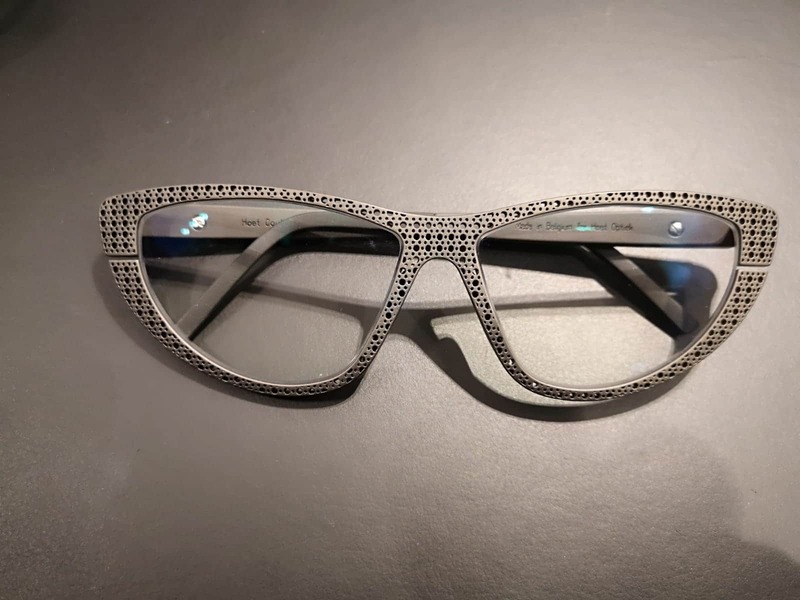 The studio, led by Bieke Hoet, has been 3D printing frames since 2011 and is to date the only manufacturer of luxury 3D printed metal frames in its Couture collection. 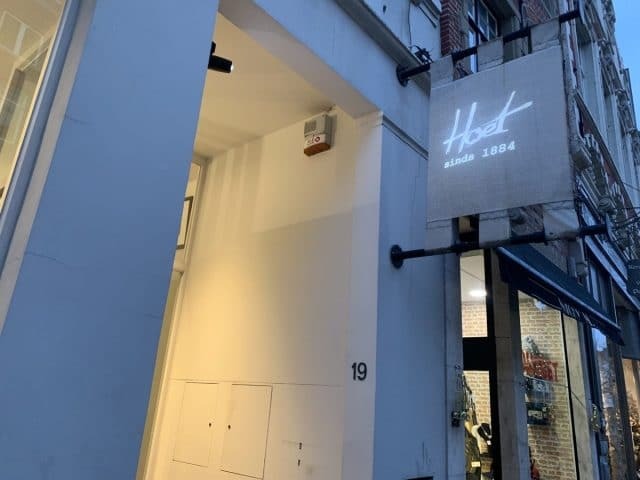 Hoet began 3D printing frames with support from local company Materialise (also headquartered in Belgium, in nearby Leuven). The two companies have since collaborated on multiple projects which have been instrumental in creating an entirely new vertical for AM. 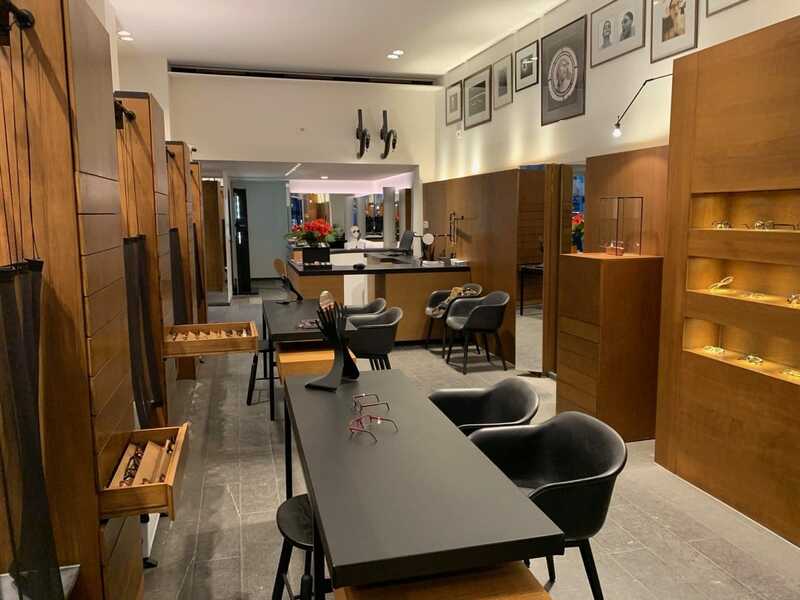 Now, the two roads cross again in this interview which we propose to our readers for the occasion of our AM Focus on Eyewear. 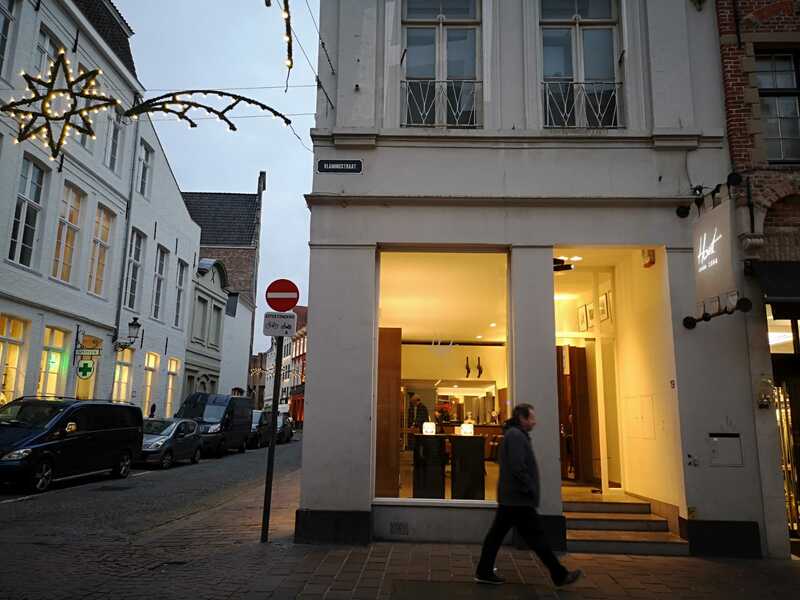 Welcome, Bieke. 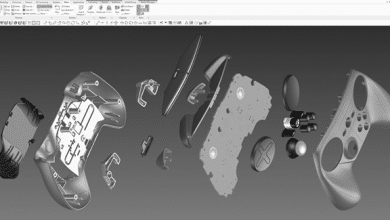 Tell us a little about the Design Studio and how you and 3DP ‘first met’. 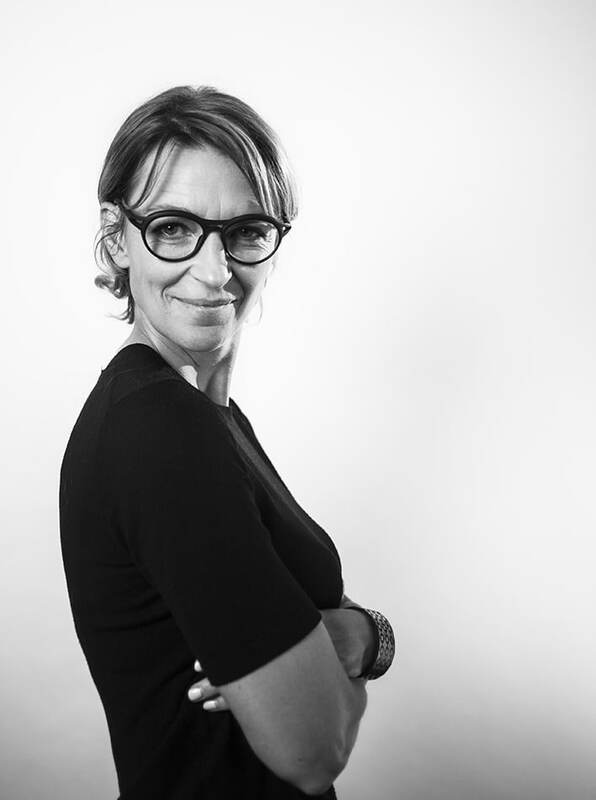 Bieke Hoet: My father Patrick and I set up the Design Studio in 1997, essentially as an eyewear innovation house. It was a logical next step for a family of opticians dating back to 1884, particularly as my father had recently launched his own eyewear brand – Theo – with his business partner Wim Somers. We still design for Theo today. In fact, around 80% of designs adopted by the brand originate with Hoet. 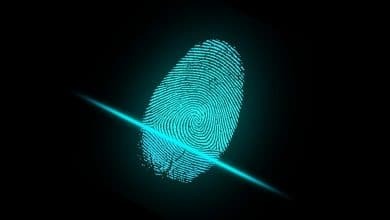 Pioneering new techniques was always our thing, particularly with regards to laser cutting and chemical etching. 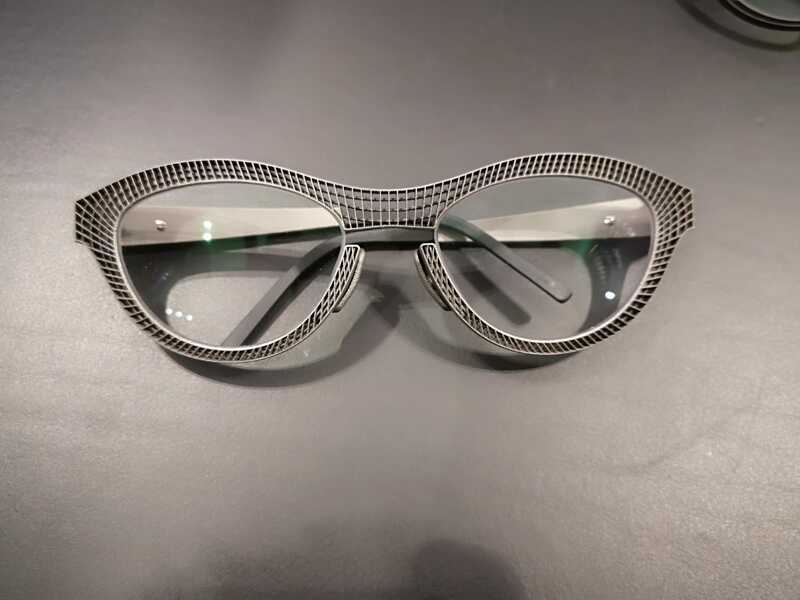 It’s this inquisitiveness which first led us down the 3DP path, though not initially because of eyewear. 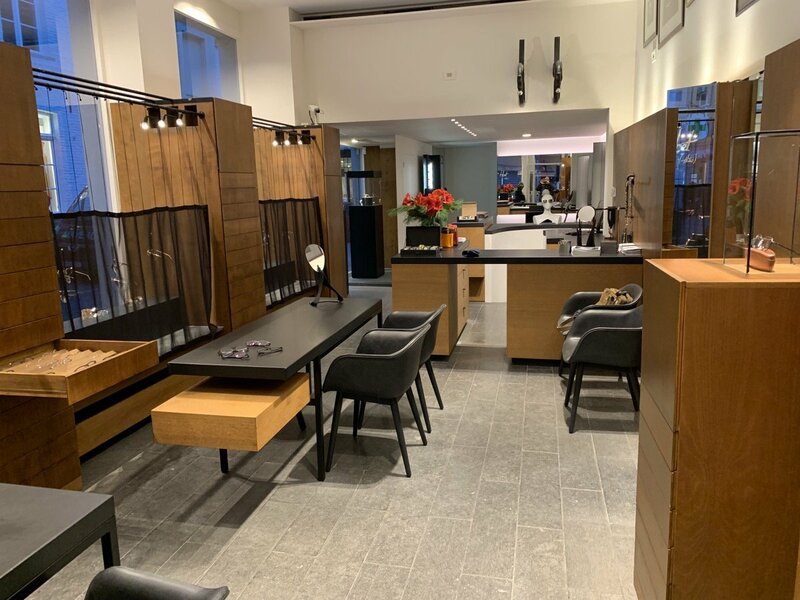 The problem was, back in 2011, this was pretty unheard of in eyewear which meant finding a commercial partner willing to explore the opportunity with us became an obstacle. That’s when we decided we would go it alone with our own brands. Did that mean you saw your initial venture as a bit of a risk? Hoet: No. 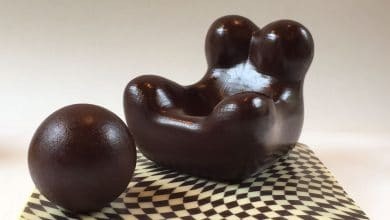 We were convinced that the design freedom and brand differentiation opportunities offered by 3D printing were solid and actually, the prospect of being part of pushing 3DP to new limits was exciting. But we weren’t foolish or arrogant. 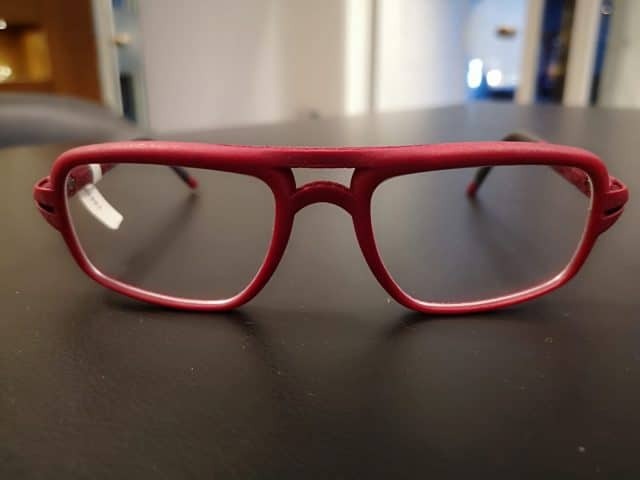 We knew that while we had a wealth of knowledge when it came to eyewear, we needed a partner equally knowledgeable about 3D printing. This was the right way to ‘de-risk’ our approach and why we got in touch with Materialise. It was interesting actually. 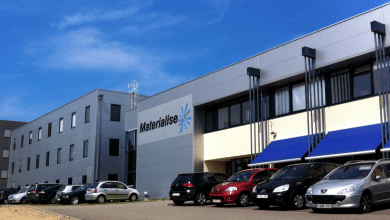 We thought a big company like Materialise might say no. Though respected in the industry, we are a small business–there are just 6 of us in the team. But what we found was a shared focus on the application of technology rather than innovation for innovation’s sake. Materialise wanted to develop software, solutions and new designs that supported what we wanted to achieve in eyewear–not just push general innovation on us. This was really important. Yes, we wanted to explore new materials and printing techniques etc. but always with an end goal. 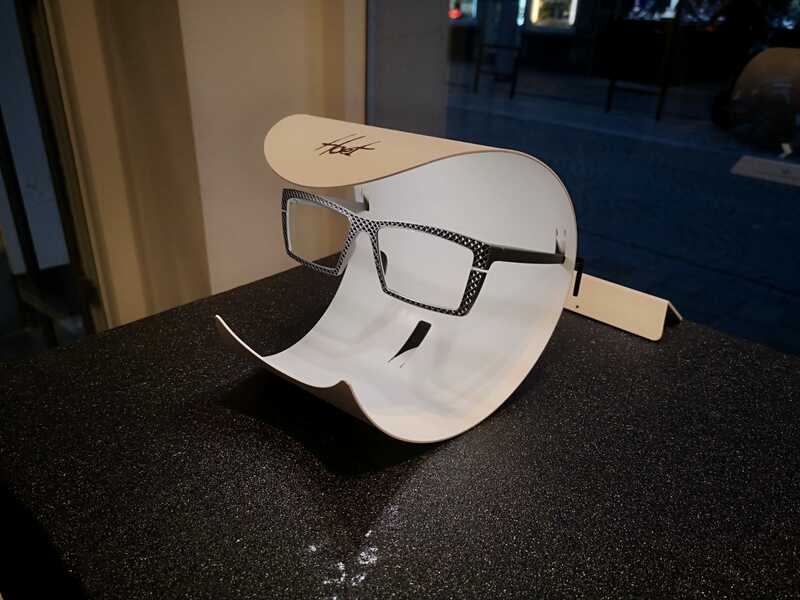 Exciting eyewear. Application-driven innovation is great. Innovation ‘just because you can’ is where you can run the risk of ‘new’ becoming a fad. It obviously worked. In 2013, we released our first Hoet Couture (titanium) and Cabrio (synthetics) 3D printed ranges. 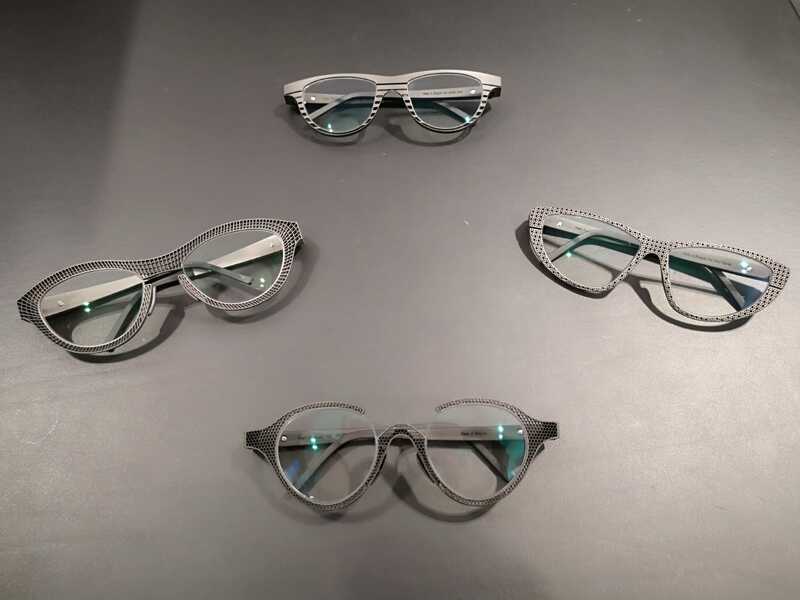 We turned heads and got people talking about the future of 3D printing in eyewear. So much so that it wasn’t long after that SEIKO approached us to develop a 3DP range of sports eyewear. The Xchanger range we created won the Silmo d’Or award in 2015. Since then, 3DP has just opened up more and more opportunities. It’s become such an important part of our whole proposition. 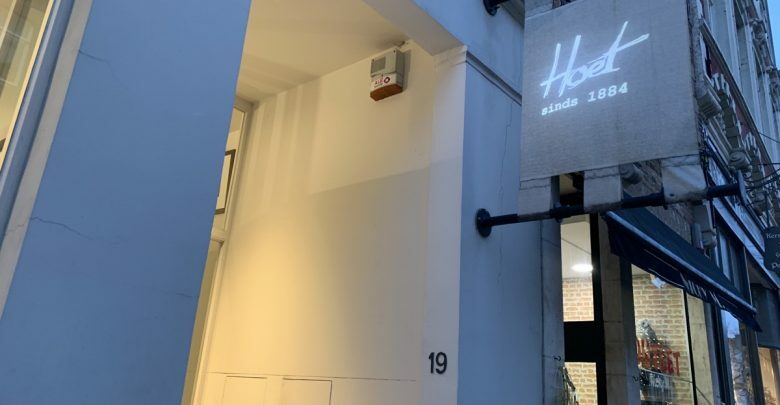 What have been the biggest benefits of making 3DP such a fundamental part of Hoet’s offering? 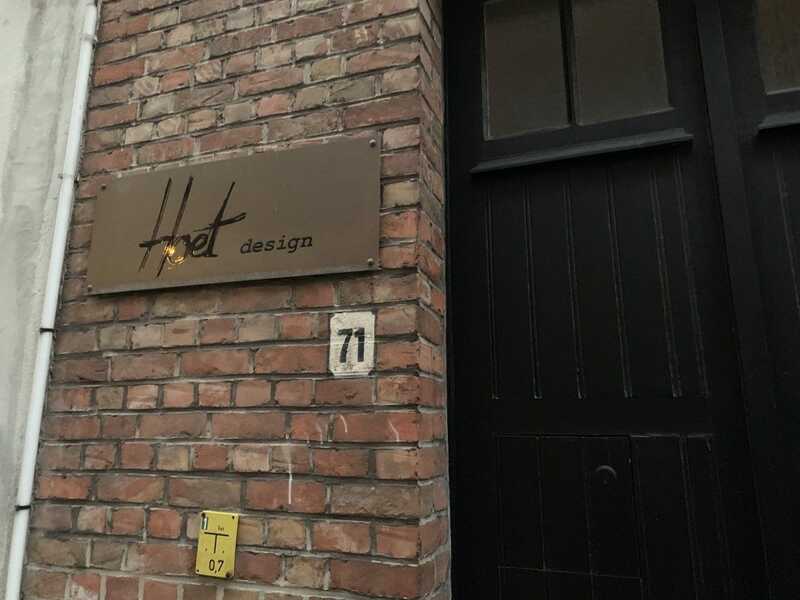 Hoet: Design freedom is the obvious answer. The additive process means you are able to ‘grow’ the shapes and structures that you envisage. I’m a big fan of organic design so this really appealed to me. There is something very natural about the lines and curves you can produce. 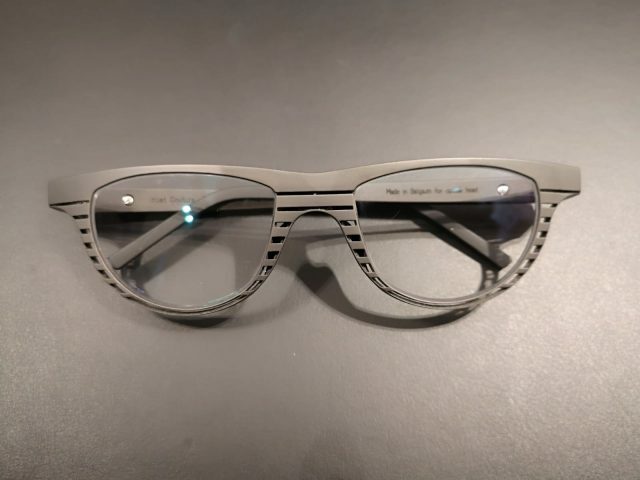 But it also brings freedom in terms of function; reduced weight without compromising strength, precision parts that you can essentially tailor to meet the exact performance criteria you need etc. It’s also important to stress the business benefits—especially for a design house like ours. We need to be able to go from concept to mass production quickly. 3D printing enables us to do that. With traditional techniques, it might take us six months of concept cycles to go from imagination to production-ready design. With 3D printing, that can be more like one month. The simplest way to put it is that we can make ideas happen more quickly. Design, alone, is not enough. You have to know and understand how things are made in order to get the best out of the tools you use—especially if you want to make something unique. We also only print what we need. I mean that in two ways. The additive process itself immediately reduces waste material—it’s much more sustainable—but we also print what we need in terms of stock, we’ll never have too much or too little. Also, because we can print according to demand, it helps us be responsive to consumer trends, for instance producing more of a certain colour if it is selling well, or adapting shapes to reflect subtle shifts in taste. The decisions about a new line that you used to have to make up-front and then live with, are no longer fixed. They can be fluid. 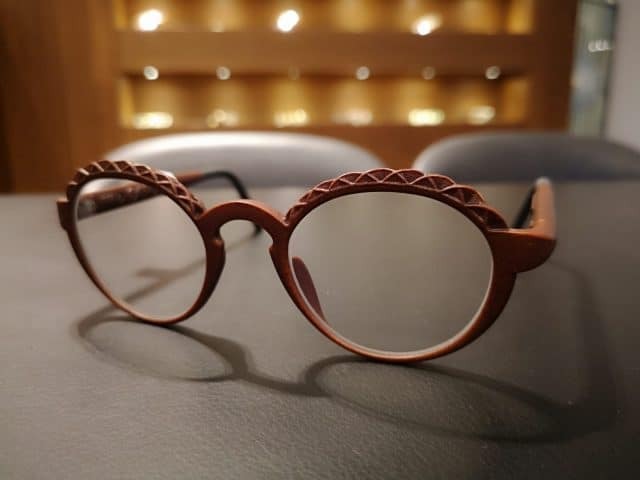 With 3D printing, we have the design freedom to create new looks that capture imaginations, and then the business freedom to supply product according to how imagination translates to customer appetite. It keeps things fresh but also efficient. Were there any lessons that you had to learn? Hoet: Of course! As a designer you are always learning. For me though, one of the most important lessons to remember is one I’ve known for a long time. Design, alone, is not enough. You have to know and understand how things are made in order to get the best out of the tools you use, especially if you want to make something unique. This is really true of 3D printing. 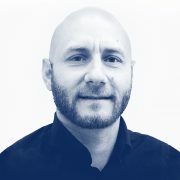 Once you understand the advantages and disadvantages of 3DP as a manufacturing technique, you can turn both to your advantage—design for the existing benefits and change disadvantages into opportunities. New technologies always have weak points but if you know them, you can use them. 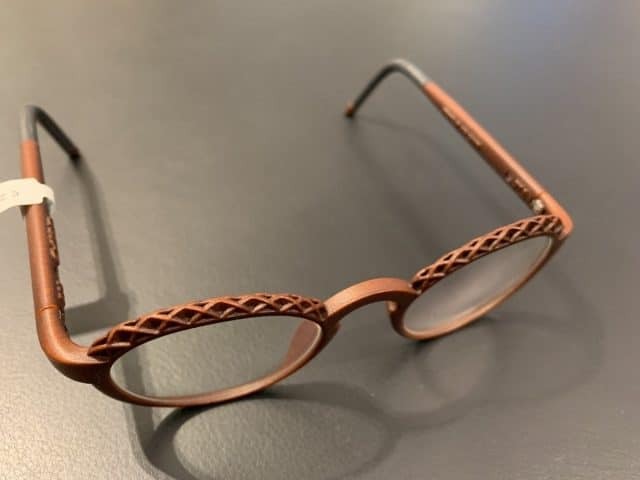 For example, we knew it would be challenging to create a Polyamide bend for an earpiece because of material memory, so we turned this into an opportunity to design something new with Materialise: a 3D printed wire which can be bent to the precise shape needed. Looking further back, surface finishing is another good example. 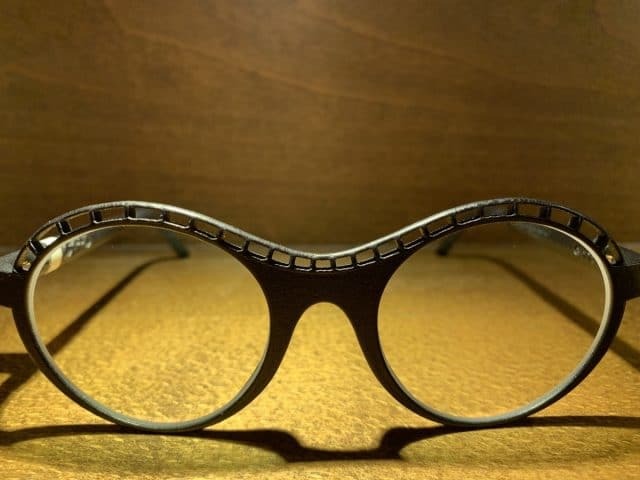 In the early days, this was considered a weak point of 3D printing but not if you turned that to your advantage and used the design freedom, as we did, to add detailed surface textures that you just couldn’t do in other ways. Understand the methods and materials and you understand the opportunity. This is why, for us, designs for 3D printed eyewear and those using CNC/laser cutting would never be the same. You have to design for the tool you are using. That’s how you push new boundaries and how you start to be disruptive in an industry. You mention the word ‘disruptive’ there, where do you see the biggest disruption happening right now and in the future? 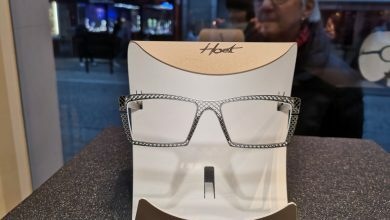 Hoet: The design and business benefits I mentioned earlier lend themselves perfectly to the greater adoption of mass customization which will undoubtedly have a big impact on the eyewear industry. For example, the YUNIKU collaboration with Materialise and HOYA means that customers can go into an optician, have their facial features scanned and receive tailor-made frames two weeks later. 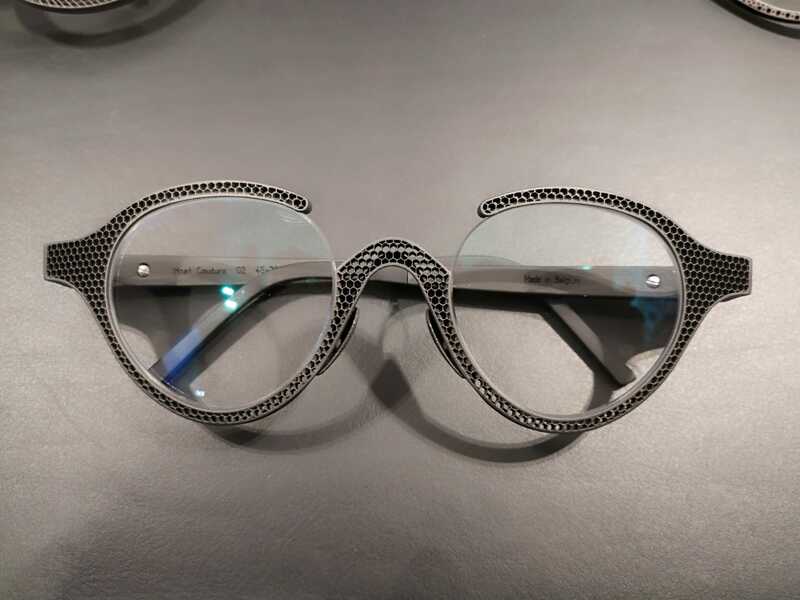 The eyewear design that enables this is unique, but the process by which the frames are made also means that a new digital supply chain is possible. It just wasn’t an option before. 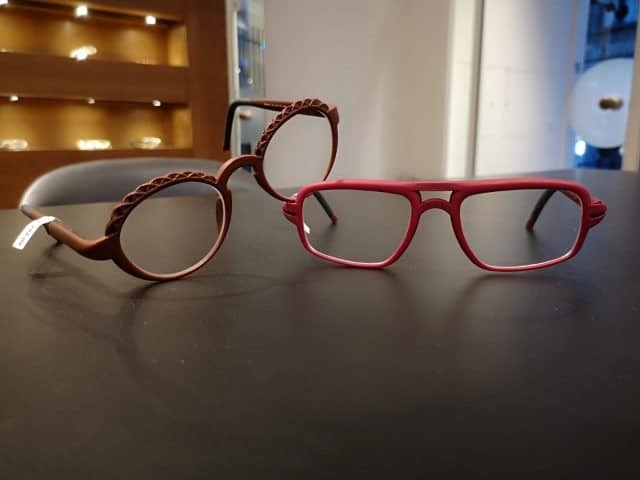 Linked to the idea of customization, I think 3D printing also presents a disruptive opportunity in terms of brand differentiation. Working in partnership with the 3DP community, with companies like Materialise, eyewear designers have an opportunity to be part of application-driven techniques, technology and even materials. We can evolve together. As well as opening up new possibilities for the industry as a whole, this also presents designers with the opportunity to create eyewear which sets them apart—that reflects their brand DNA with shapes, finishing and texturing. There are some very exciting times ahead.